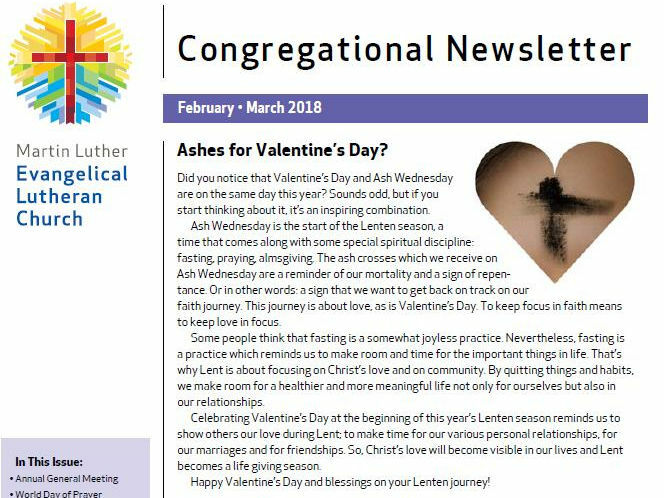 Our Congregational Newsletter for February and March 2018 is ready to download and read. 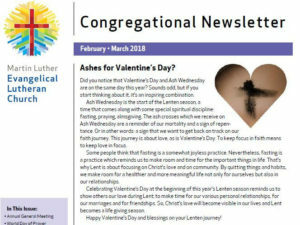 As always, the newsletter can also be downloaded from our website. If you wish to connect with our church through social media – we are also on Facebook!